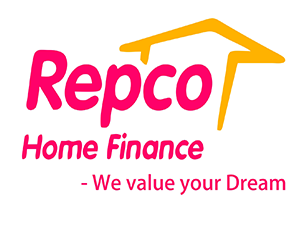 RHFL Jobs Recruitment Notification 2018.Repco Home Finance Limited, RHFL inviting applications for the positions of Branch Head, Executive Trainee.Interested and Eligible candidates can apply for the positions. 1. Any Graduation (10+2+3 format) from a UGC recognized university.Post graduation & professional qualification shall be given additional weightage. 2. Minimum 3 years experience (for age not exceeding 28 years) in Housing Finance/Retail Lending /marketing of financial products (Home Loan) /branch operations in HFCs/FIs. Exposure in housing finance is a must. Experience of heading a branch will be preferred. For further age relaxation, commensurate additional experience would be required. networking capacity with builders / developers is a must. B. Pay & Perquisites: CTC starting from Rs. 7.00 lakhs per annum (fixed + variable). However, experienced candidate would be compensated suitably as per market standard and Management discretion. 1. Fluency in Marathi/Hindi (read, write & speak) besides English is must. 2. Early joining will be preferred. are subject to satisfactory reference / background verification. 2. To handle lending operations of branch, which require speedy processing of loan applications /initial credit appraisal at branch level/follow up of loan approvals with sanctioning authority/ disbursements/ post disbursal monitoring. 3. To coordinate with panel valuers / advocates for effective delivery within stipulated turnaround time. 4. To monitor collections and manage effectively the receivables and achieve the targets set for recovery / delinquency. 5. Timely achievement of business targets set under different parameters and make the branch a profit center. 9. The position will have 2-3 on roll employees and 1-2 off roll staff reporting to him/her. 1. Any Graduate preferably B Com (necessarily preceded by SSLC (or equivalent) and HSC/ Diploma) with minimum 50% marks from a UGC recognized University. Graduates from Open University will not be considered. 3. For recruitment in all cadres, candidates (internal-applying for lateral entry /external) having pending disciplinary action against them at the time of applying for the position or having been punished under disciplinary proceedings in last 5 years will not be considered eligible. All appointments are subject to satisfactory reference / background verification. 1. Assist the branch in the day-to-day operations including the sourcing and processing of home loan applications, customer interaction, sanctions/disbursements/recovery etc. 2. Participation in external work like marketing of Company products, verification of customer KYC & other documents, coordination with panel advocates/valuers, inspection of properties, visiting sub-registrar’s office,banks etc. 3. Handle accounting and back end/data operations (cash entry, bank entry in the system), documentation etc. independently. The Company reserves the right to accept/reject any/all candidates and/ or modify any of the eligibility conditions without assigning any reason or even abandon the recruitment process. The Company also reserves the right to offer suitable cadre/emoluments to candidates as per its own discretion depending on profile, past experience and performance in the selection process etc.